Ha Ha !! 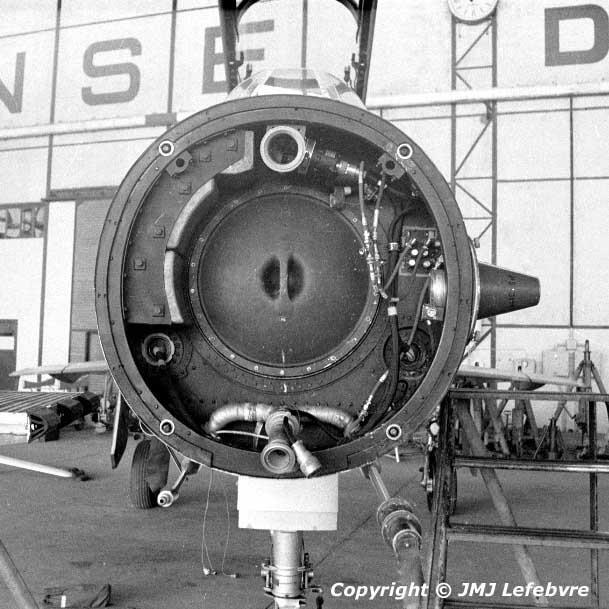 Without radome, antenna and electronic compartment , the picture embodies a complete Mirage III B...The center of the center is not a Champagne cork providing the double bang when the aircraft is sonic...but the pressurization cap of cockpit. The right protuberance probably is the basis for various wind probes. Below, on each side, various anemometric probes.